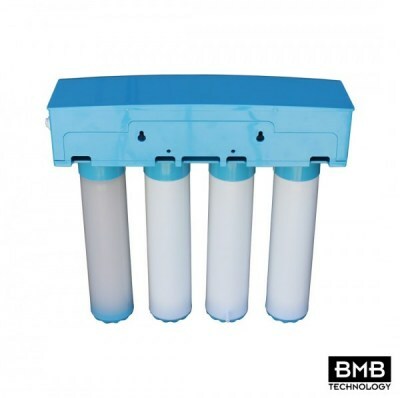 BMB Nano UF is a 4 filter Ultrafiltration system. The system comes standard with antibacterial filters and pH stabilizer. 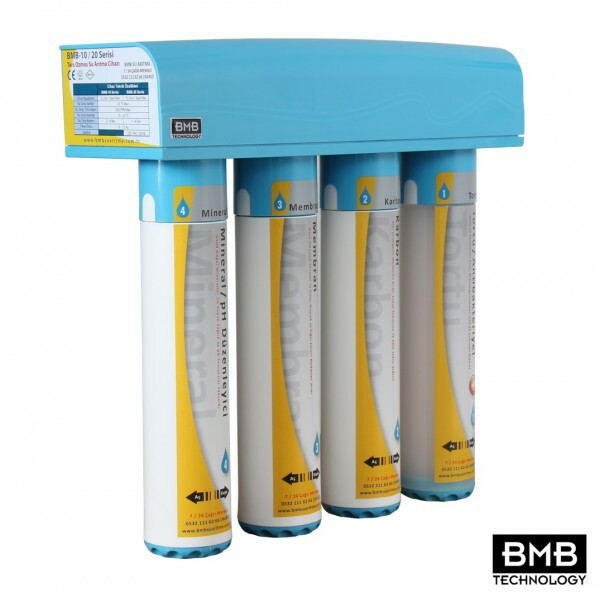 The 4 filter system incorporates state of the art filters, easy Plug & Play components and Quick Change Filter Technology (QCFT) for low cost maintenance. 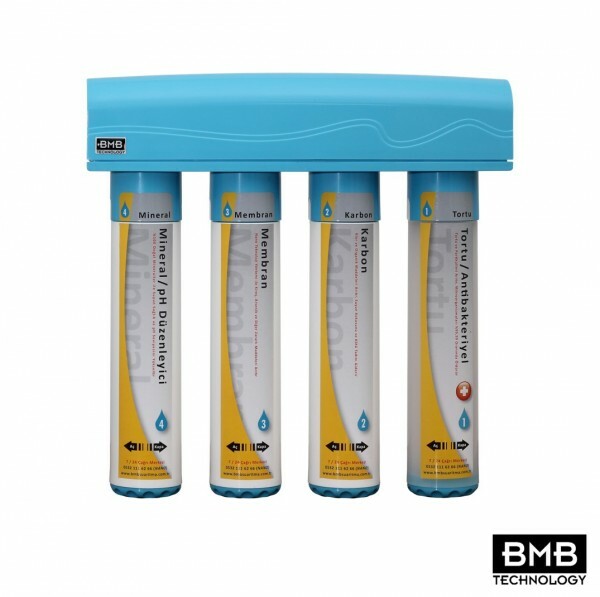 The first and second stage pre-filters are infused with Zinc nanoparticles that activate in water for antibacterial properties. 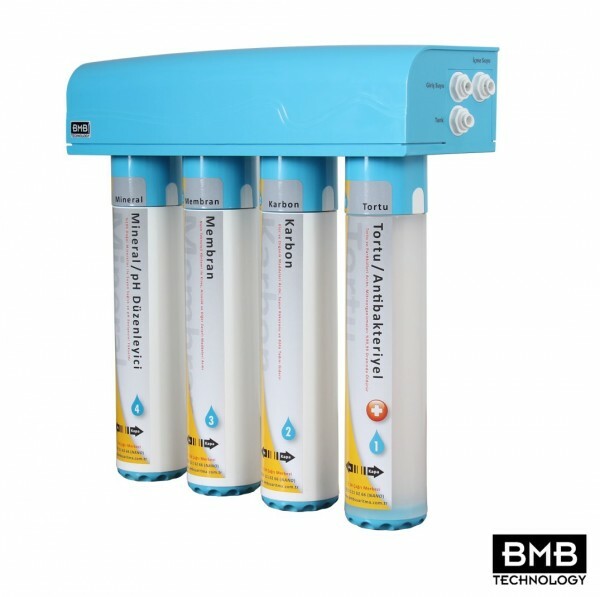 The third stage Ultrafiltration (UF) filter is composed of hollow fiber strands with 0.1 micron sized pores. 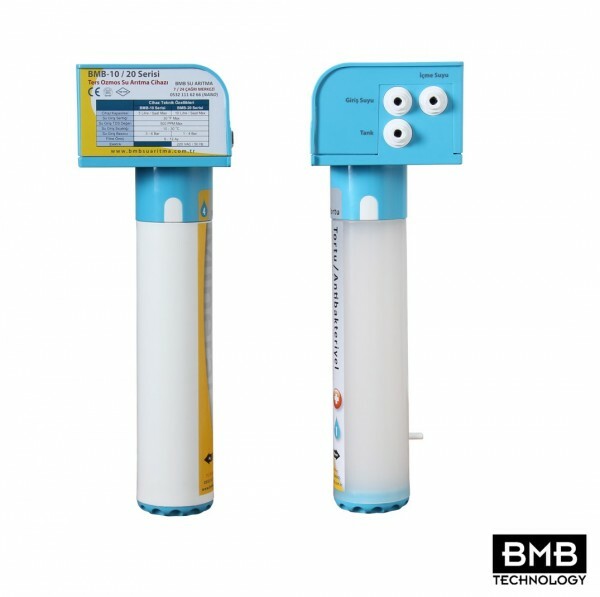 The UF filter will remove 99.99% of bacteria, particles down to microscopic size and other compounds that can affect the clearness of the water. 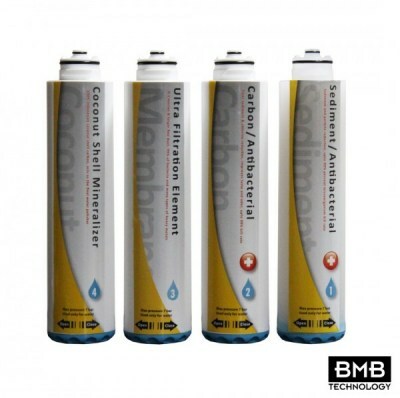 The fourth stage mixes magnesium with purified water on an atomic scale to bind up free hydrogen atoms. This binding process increases the purified water pH with natural minerals to give it a very healthy polish. BMB Nano UF is designed for use in residential (for home) and commercial drinking water applications. The system is installed under the kitchen counter with a secondary faucet installed on the sink. The system is an economic model which is best utilized for applications of upto 300 liters per day. 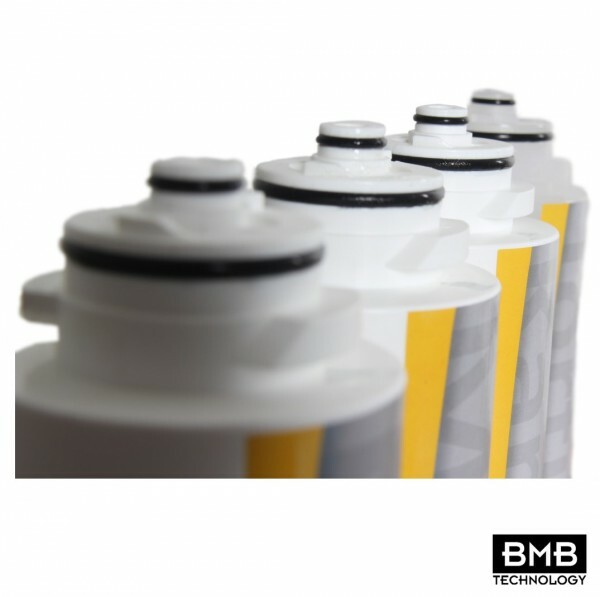 System Dimensions 13 (L) x 39 (W) x 38 (H) cm.